We encourage and support youth becoming active stewards of their communities to help keep Prince William Sound safe from oil spills. One of our goals is to draw young people into the organization to foster their volunteer skills and support the council’s mission. The Exxon Valdez oil spill happened in 1989, but its effects linger. Even though they might not have been around when the spill occurred, youth and young adults can learn about that disaster and play a vital role in helping prevent another spill. Teachers, students, and educational groups: are you looking for a partner in a new or ongoing educational program? Specific projects proposed by any student or educational group within the Exxon Valdez oil spill affected region may be able to receive funding from the Council. Projects or activities must relate to the Council’s mission and responsibilities. Limited funding is available, therefore only those proposals which are deemed most relevant to the mission of the the Council will be considered. There are two deadlines each year to submit proposals for funding. Please contact the council’s Outreach Coordinator Betsi Oliver at 907.273.6235 for the next deadline. You may also subscribe to our email list for new Requests for Proposals to receive notifications when new requests for proposals such as the Youth Involvement project are issued by the council. The Prince William Sound Science Center partnered with the Council through the Youth Involvement project to bring Remotely Operated Vehicles (ROVs) to life for high school students competing in the March, 2014 Alaska Tsunami Bowl held in Seward. This expedition was a partnership between the Council, Alaska Geographic, and the Chugach National Forest. Copper River area students participated in the Wrangell Institute for Science and Environment‘s Copper River Stewardship Program. Led by staff from the institute, students traveled to McCarthy, Cordova and Valdez, learning about the environment of the Copper River and Prince William Sound and how the waters are protected. 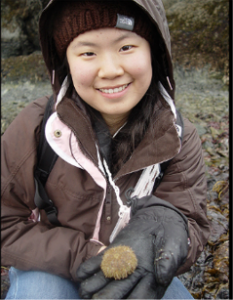 A second year biology class from Valdez High School attended a three day, two night Alaska Coastal Ecology program held at Peterson Bay Field Station near Homer this past April. The students had been studying marine biology and learning monitoring techniques to help monitor our local port for invasive aquatic species. The Council helped fund the Ocean Science and Leadership Expedition. Nine high school students from around the country completed the a summer intensive course based in Cordova and Valdez and led by staff from the Prince William Sound Science Center. From August 5-14, the students studied principles of oceanography and marine environmental issues, especially focusing on oil spills, and developed leadership skills in a wilderness learning environment. Valdez High School’s Biology II class received partial funding through this program for a trip to Kasistna Bay.